This creature lacks a specific name and is only known as the "water animal". Its home is the Colorado River (which is the northern boundary of Patagonia). This river which is born right on the Chilean-Argentine frontier between the provinces of Neuquén and Mendoza, flows across the steppe in an easterly direction for 900 km (560 mi.) 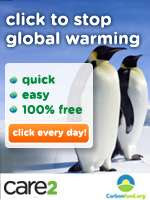 until it reaches the Atlantic Ocean. It receives the inflow of only one river (the Curacó) along the steppe. The animal has been reported at Casa de Piedra (38°12’S, 67°12’W) by Edgar Morisol who in the 1960s heard it from the locals while working on the team that was prospecting the site for the construction of a reservoir. A mysterious animal lives in the river and is only seen at night. Big, long as a lampalagua, strong and very evil. A great swimmer it has fingers like membranes. Its hair is dark and shines like silk. It lives in caves on the river bed. It attacks the animals when they come down to the water […] some say that on the nights with moon it can be seen frolicking in the river. Several times its tracks have been seen on the beaches. It also attacks the men who cross the river, but this happens ver seldomly […] it drags the animals to the bottom to drown them and it kills them. It seems to be similar to the Maripill and to the nguruvilu (which I have only mentioned superficially - I will post on it in detail later). All of these creatures have also been seen in the province of La Pampa (which does not belong to Patagonia, as it is north of the Colorado River -which is the province's southern border). It is also similar to the Water Tiger. Perhaps they are all the same animal. 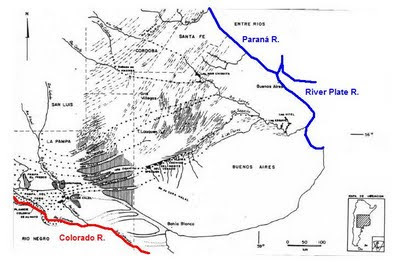 An interesting piece of information is that the Colorado River at the end of the last Ice Age flowed in a southwest-northeast direction towards the Paraná River across the Pampas of Buenos Aires province. This could have provided an "aquatic route" into Patagonia for giant otters found in the Paraná River basin. A route that now is non-existent because a wide stretch of arid land lacking freshwater separates the humid Pampas from the arid Patagonian steppe (the Arid Gap that I wrote about in a previous post Here). Apparently at one time it “lived in rivers [that later dried up][…] big rivers that long ago came down from the mountains on the west [the Andes]”.This interesting bit of information points towards a relict animal from more humid (and perhaps warmer) climes. These rivers may have fed the Colorado River with abundant water during deglaciation or during a wetter period, allowing outflow towards the Paraná River basin. The Chadileuvú or Salado;, Curacó, Diamante, Atuel, Mendoza, San Juan and Tunuyán rivers all fed the Colorado basin but nowadays their flow is much reduced because their water is used to irrigate farmland upstream in Mendoza and San Juan provinces. (Top) The River Plate and Paraná rivers are shown in blue on the upper right side of the map (by Buenos Aires city) and the Colorado River is shown in red on the bottom. 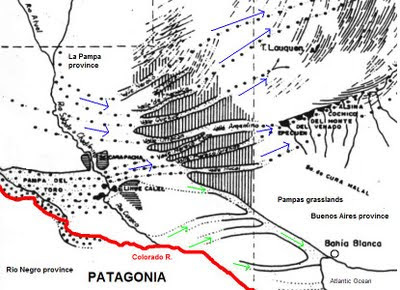 (Bottom) Detail showing the outflow towards the Paraná River basin (blue arrows) and a previous outflow towards Bahia Blanca (green arrows). Morisoli, E., (1981). La presencia del Animal de Agua en la zona de Casa de Piedra. La Arena. Suplemento "Caldenia" 13.02.1981. Santa Rosa, Argentina. 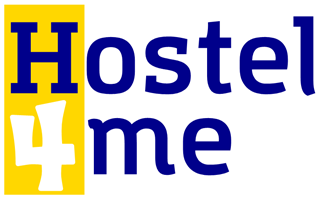 Online Here. Jensen, R.A.; Marazzi, M.L. ; Savioli, J.C.; Brea, J.D. ; Tavecchio, H., (2000). Diagnóstico de inundación en la región noreste de la provincia de La Pampa, Argentina. Santa Rosa: Gobierno de la Provincia de La Pampa. Malagnino, E.C ., (1988). Evolución del sistema fluvial de la Provincia de Buenos Aires desde el Pleistoceno hasta la actualidad. Segundas Jornadas Geológicas Bonaerenses. Bahía Blanca, 1988. Actas, 201-211.